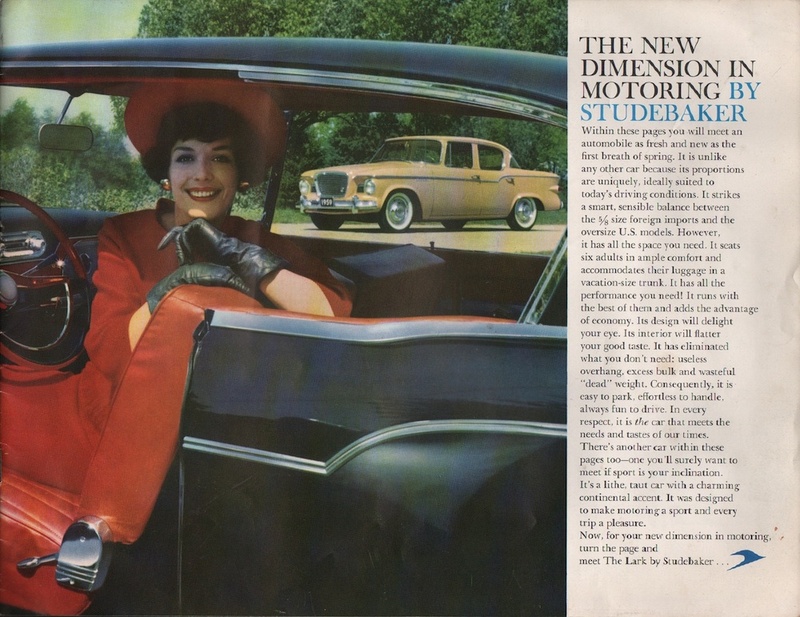 Sales brochure for the 1959 Studebaker. Models covered include the Studebaker Lark 4-door sedan, Studebaker Lark 2-door hardtop, Studebaker Lark 2-door sedan, Studebaker Lark station wagon, and Studebaker Silver Hawk. Engines include the 145hp 169.6ci 6-cylinder adnd the 180hp 259.2ci OHV V8. Brochures are presented for research use only. Company marks, emblems, and designs are trademarks and/or service marks of Studebaker.